5% increase a year for 30 years is real cycle news. An interesting article from the Vancouver Sun. Fewer new MLS residential listings in August. MLS new residential listings in Canada’s major markets retreated in August 2008 from record levels in the previous four months, according to statistics released by The Canadian Real Estate Association (CREA). With new listings down from the peak, the resale housing market is stabilizing. After four consecutive months in which new MLS residential listings topped 50,000 units, some 47,657 homes were listed via MLS on a seasonally adjusted basis in August 2008. This is a decline of 5.3 per cent compared to the previous month. New listings having eased in many major centres, and now stand at their lowest level this year. This trend has been most evident in Calgary and Edmonton, where fewer new listings and rising sales activity have stabilized the resale housing market. New listings remain most elevated relative to sales activity in Saskatoon and Vancouver, making them the most balanced major markets in the country. Seasonally adjusted MLS sales activity in Canada’s major markets edged down by 3.4 per cent on a month-over-month basis to 24,887 units in August 2008. The number of transactions was down in every market except Calgary, Edmonton and Regina, with Vancouver posting the largest decline in sales activity. Sales activity in August was down from year-ago levels in the five most expensive major markets in Canada – Vancouver, Victoria, Calgary, Toronto and Edmonton. As a result, the overall major market MLS residential average price posted another year-over-year decline in August, despite the fact that average prices recorded year-over-year gains in 20 of 25 major markets. The average sale price of residential properties sold via MLS was $316,052 in August. This is 5.1 per cent below where it stood in August last year. Five major markets saw year-over-year declines in average price in August: Vancouver, Victoria, Calgary, Edmonton, and Windsor. “Price declines in the pricier major markets are pulling down the overall average price,” said CREA Chief Economist Gregory Klump. “Significantly lower sales activity in Greater Vancouver compared to a year ago means that the most expensive market in Canada now has less weight in the overall average price calculation,” he explained. Fewer homes being added to the market. Vancouver, BC – September 12, 2008. British Columbia Real Estate Association (BCREA) reports residential sales dollar volume on the Multiple Listing Service® (MLS®) in BC declined 49 per cent to $2.2 billion in August, compared to August 2007. Residential unit sales were down 47 per cent to 5,175 units during the same period. The average MLS® residential price in the province was $421,685, down 4.1 per cent from August 2007. New MLS® residential listings in August fell 22 per cent from July on a seasonally adjusted basis, the second largest month-over-month decline in 25 years. Compared to July, nearly 2,000 fewer active MLS® residential listings were available in the province, a decline of 3 per cent. “Home seller fatigue is now a possibility, as slower demand and competition among sellers lessen the chance of a timely sale,” added Muir. Year-to-date MLS® residential sales dollar volume in the province declined 22 per cent to $25.4 billion compared to the same period last year. Transactions declined 27 per cent to 54,635 units, while the average residential price increased 7 per cent to $465,132 over the same period. 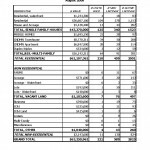 Comparative Analysis by Property Type for August 2008. 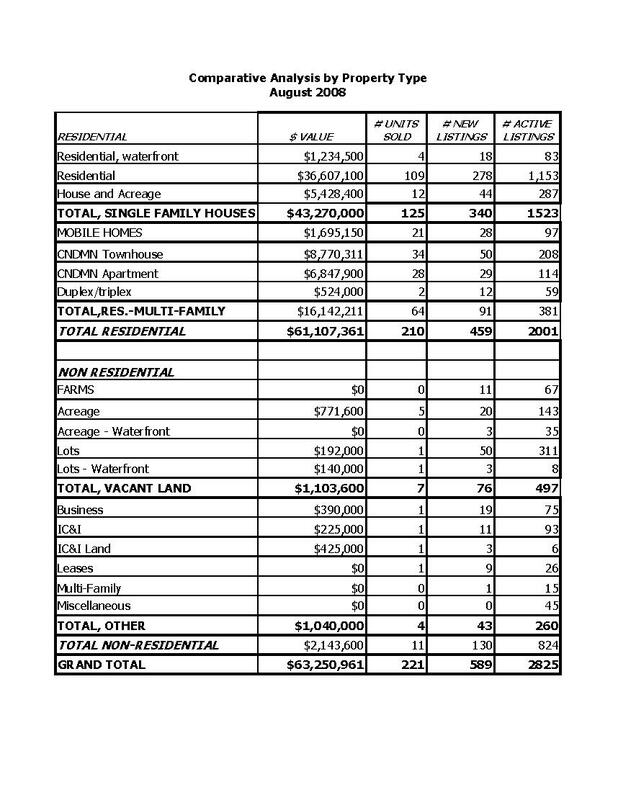 Comparative Analysis by Property Type August 2008.